When it comes to guitars that cost less than $200, the Jasmine is a familiar brand which is recognized for making quality, affordable guitars by guitar enthusiasts. 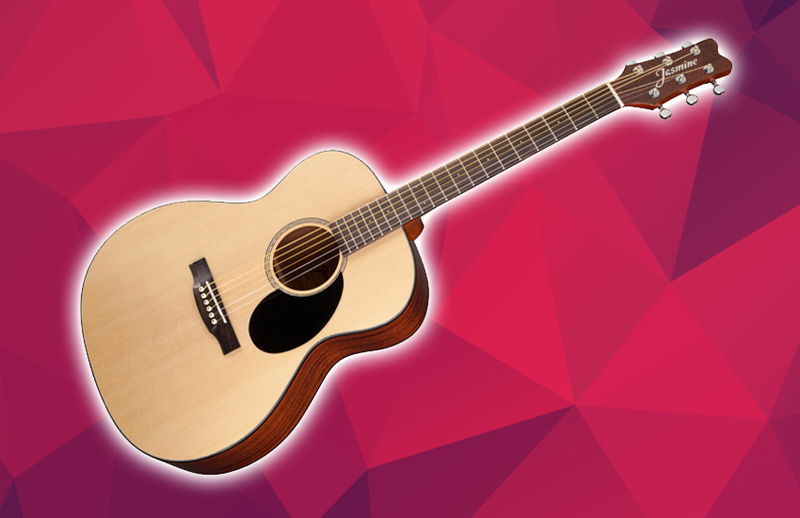 The Jasmine JO-36 guitar packs a ton of value for its ability to have a versatile play style from the likes of delicate fingerpicking to robust strumming. It also has a great tone and sound quality for guitar players who want to get started on an affordable budget. 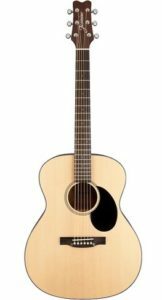 The Jasmine JO-36 is an amazing orchestra-style guitar making it slightly bigger than dreadnought shape guitars (which may make it difficult for a 12 year old child to play). 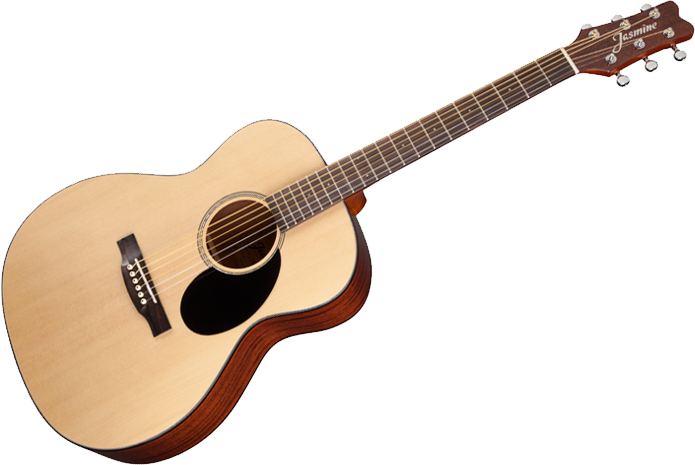 The guitar is quite well built despite being made with laminated wood (which is not surprising for its price) with a spruce top, sapele back and sides with a natural gloss finish on its body and nato neck. However, despite the laminated wood, the guitar still produces great sounds creating a lovely, brighter and pleasing sound to the ears. It also has the recognized Jasmine Advanced “X” bracing (which is shown through the two braces forming an “X”.) What’s special about this particular feature is that this one is “forward-shifted X” allowing it to have improved definition and note detail. This guitar comes with a rosewood fingerboard and bridge and traditional pearloid rosette inlays, as well as ivory bridge pins with black dots. It comes with a synthetic bone nut and finishes up with classic die-cast machine heads which allows for more stability for toning. The strings are well-made and spaced slightly bigger than usual. The strings are the phosphor bronze light gauge.012-.053. Although they describe it as a slim neck, It was a bit bigger than I expected but nonetheless was still comfortable and was extremely easy to play with. When you play the Jasmine JO-36 guitar there is a sweet, majestic sound and has a ton of versatility depending on the play style you prefer. This is because of the laminated sapele back and top is similar to mahogany but has a slightly brighter sound. The familiar spruce on the top helps create a more balancing tone along with the brighter sound from the sapele making it incredibly versatile for many types of music to be played on this acoustic guitar. 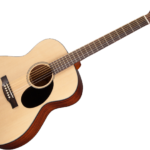 Overall, we think that this is a worthy investment for people starting to pick up the guitar as it is solidly well-built and has a decent sound quality for its price despite being mass-produced. We think beginners and experts (like me) would be pleased to play this affordable guitar at casual events or for friends and family. However, some proper setup may be required when you open it so double check to see if the frets are smooth and the finish is even.